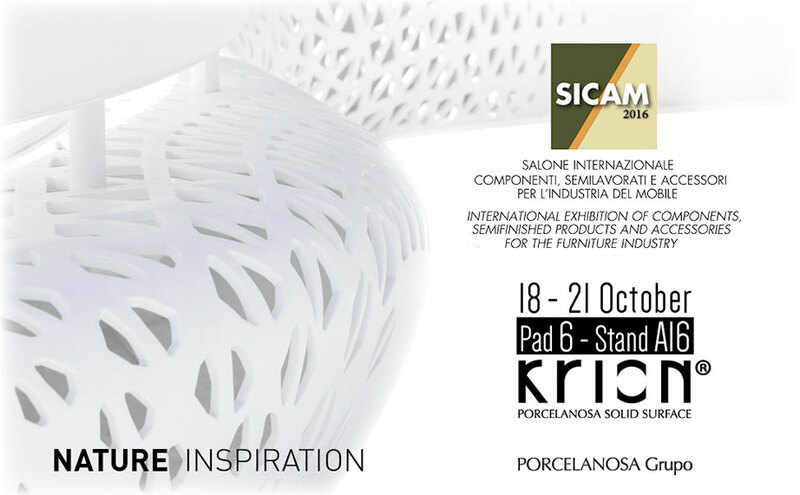 From the 18th to the 21st of October in the city of Pordenone, SICAM, the International Trade Fair for components, technology products, accessories and semi-manufactured products for the furniture industry will take place. The Solid Surface from PORCELANOSA Group will be present at this international showcase with its new sheet products, 9106 White Copper, 9508 Sand Copper, 9509 Dark Copper, 9907 Grey Gold, and 9908 Black Gold, new additions to the successful Royal+ series. Come to our stand and you will see for yourself the properties of our material KRION®, and its countless applications. We will be waiting for you in Hall 6, Stand A16!